A corporatocracy is a society or system that is governed or controlled by corporations. The urban dictionary is more specific, saying that it is, "rule by an oligarchy of corporate elites through the manipulation of a formal democracy". The wikipedia entry uses both the terms corporatocracia and corporocracia. 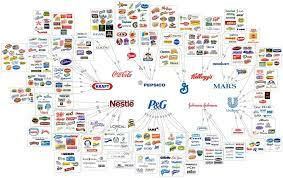 The googlage on the term corporatocracia is about 31,000 and for corporocracia it is about 9,000. Nevertheless I would recommend corporocracia, because corporatocracia seems to me to stay too close to the English neologism and not follow normal Spanish patterns.